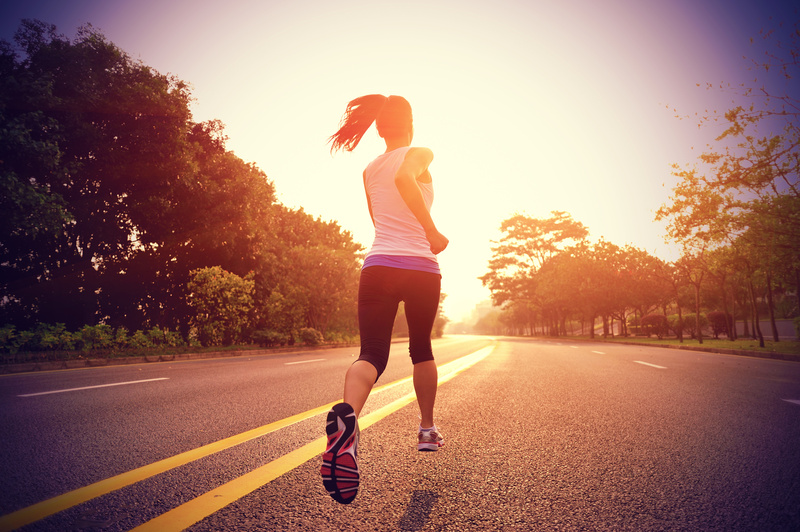 Running is one of the healthiest forms of exercise. While using a designated jogging path is always ideal, it may not be possible to run in an area without any vehicles. If you do find yourself running alongside traffic frequently, here are some top tips you can use to ensure that everyone on the road sees you. What you wear makes a big difference in someone’s ability to see you. You should choose at least one highly visible piece of clothing to wear every time you go for a run. What you end up wearing varies depending on the time of day you run. When running in the daylight, florescent clothing is the best option! The brightest color you can wear is florescent yellow-green. At night it doesn’t really matter what color you’re wearing, because it’ll be pretty hard to see you regardless. It’s important to wear something reflective, not florescent, at night. This way you’ll stand out against a car’s headlights. If you’re running at night, having a flashlight on hand will be necessary. Not only will motorists have an easier time spotting you from a distance, but you’ll also be able to see the road ahead of you. Tripping on uneven pavement is the top cause for injury among pedestrians, so having a flashlight in the evening or early morning can help prevent a rolled ankle (or worse). If you’d rather keep your hands free, consider using a headlamp! Let’s face it—sidewalks were not built for runners. If you’re forced to run on the road, it’s important to run against traffic. Most people claim this is beneficial because it’ll give motorists more time to see you. It’s actually better for the runner because you have an extra couple of seconds to see an oncoming car. To further prevent any crashes, stay as close to the edge of the road as you can. If you’re running on the road in a bustling downtown area, be sure to follow all traffic signals as if you were driving a car. While this may seem tedious, the fact of the matter is you’re much smaller than a car, so motorists will have a tough time seeing you. This means you should stop at intersections, yield to pedestrians, and pay attention while crossing intersections on the sidewalk in particular. Two runners are always more visible than one. When running in a group it’ll be much easier for motorists to see you. You’re also more likely to be given more space by drivers, because there’s more of you. Running in a group is always a good plan because you’ll be held accountable for your workout routines and may be less likely to skip that early-morning Saturday run if you’re meeting a friend. You may run faster or longer than usual when with a buddy as well! While some of these tips seem tedious, they’ll all help prevent any incidents with motorists and ensure that your runs are safe and fun. *This article was created by Personal Injury Help (www.personalinjury-law.com), however, this article is not intended to be legal advice nor should it be construed as such. Be sure to check your local ordinances to run safely and legally!